This question comes up a lot when you’re looking for your next vehicle. Which vehicle is going to give you the best value? Due to the superior engineering and reliability of the 2019 Crosstrek, you’ll find you will save money in the long run. One of the best ways to find value in a new vehicle, especially in the second generation 2019 Subaru Crosstrek is to evaluate the level of outstanding safety features. For example, the 2019 Crosstrek continues to offer a three-level safety standard. By having passive, active, and preventative safety systems it received the Top Safety Pick designation from the IIHS, the Insurance Institute for Highway Safety. One of the most prestigious and difficult designations for vehicles to receive since its the highest safety rating possible. This designation alone will not only give you value back on your investment, but you can driving knowing your car has you covered from point A to point B.
Subaru is modelling a stronger position on its SGP with the rollout of new vehicles. 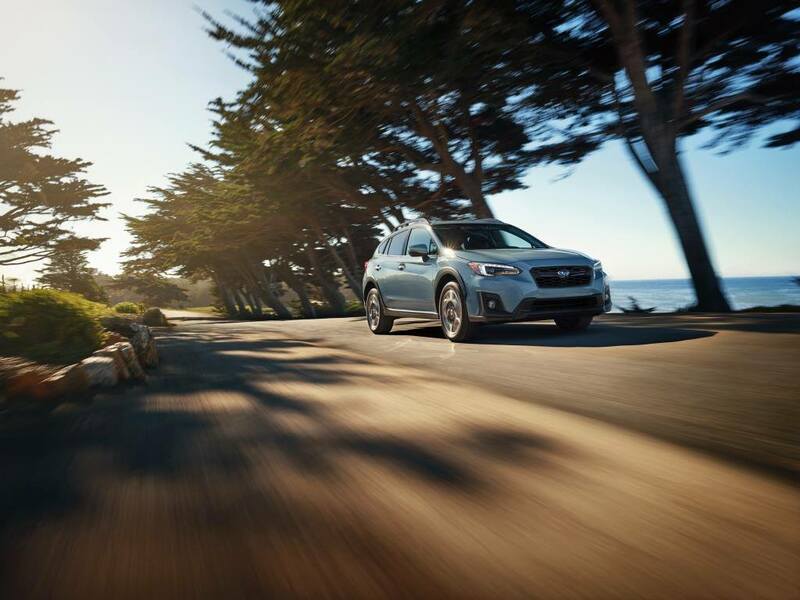 The 2019 Subaru Crosstrek embodies the performance, dependability and safety Subaru is renowned for, and people are taking notice. The choice is up to you when it comes to the Subaru BOXER engine in the Crosstrek, with the option of either six-speed manual or Lineartronic CVT transmissions. However, no matter which version you choose, the legendary symmetrical All-Wheel-Drive system and suspension system gives you the confidence and comfort you’re looking for in all driving conditions. With more people entering cottage country and rural living, there’s an increased need for off-road driving while still having the functionality to drive in the city. It’s like having two cars in one! We happy to announce that all Subaru Crosstrek models for 2019 and future include the 6.5-inch touchscreen that has an upgraded software system to match the growing tech needs in your car. The iPhone and Android debate doesn’t have to affect your vehicle, as both users have compatibility with Apple Carplay and Android Auto to make your ride tailored to you. The new standard essentials of driving are also included, like cruise control, power windows on all sides, power door and side mirrors, and air conditioning. Ideal for summers in Niagara that just keep getting hotter! It doesn’t stop there. We have elevated the standard of driving with these key improvements. Look for the aluminium hood, fuel economy information display, telescoping steering column, carpeted floor mats, and privacy glass stretching to the rear windows. The Subaru Crosstrek is not limited in options, with Convenience, Touring, Sport and Limited models there’s a car for every budget. The Convenience model brings you all the standard elements of the Subaru you know with the additional options of 6MT or CVT for as low as $23,695. The Crosstrek Touring has additional features outside of the Subaru standard. If you’re looking for the next level of comfort you may like the Touring trim. It comes with heated front seats, premium cloth upholstery, automatic climate control, headlights, and cargo-area privacy cover. With all these additional features, you have the added luxury without the cost at only around $25,395. If you’re willing to invest in a full functioning luxury vehicle, the Crosstrek Sport, with or without EyeSight, is definitely the car for you. Taking everything you like about the Touring additions and adding a power sunroof, power driver’s seat, dual USB ports, an 8-inch infotainment system and Sirius XM satellite radio for perfect connection anywhere! It’s not just style and comfort. We’re adding extensive safety upgrades, like our EyeSight Driver assist, SRVD, rear and side vehicle detection with blind spot and rear cross traffic alert. Just some of the most valuable safety features you could want in a brand new 2019 Subaru Crosstrek. If you’re not sure which Subaru Crosstrek is right for you, come to Subaru of Niagara. Our team can work with you to figure out your budget and meet your needs to get you back on the road.